Where you live: a small restful picturesque community Glen Margaret, NovaScotia, Canada. What you do as a vocation or avocation? I have many passions. To name a few... Fine Art photographer and a gardener. I have been passionate about photography all my life and have been working in this medium for about 12 years now. Photography feeds me spiritually, the whole act brings me into the present moment and appreciation of the world around me. 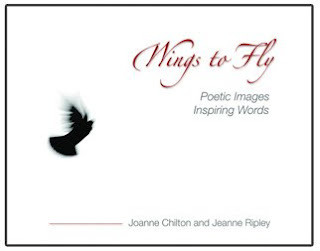 I am also co-author of my first book titled, Wings to Fly a collection of black andwhite images set to inspirational poems by friend and writer Jeanne Ripley. My other passion is gardening and landscaping. It brings me joy connecting with insects, deer, pheasants, hummingbirds, moving stones and digging dirt. Creating sacred spaces for people to feel nurtured and inspired is rewarding. It is my dream to one day offer a healing space for workshops around creativity and spirituality on my property. Your two favorite books: I have many, at the moment I am reading EckhartTolle A New Earth. Your two favorite songs: 1 Prayer by Karl Anthony. Pretty much anything by Leonard Cohen I love listening to, although it's hard to name only two. I have a wide collection of music that I listen to depending on my mood. Why you are interested in spirituality? When I was a young child there was an inner knowing that something bigger existed. I lived in the country and felt a deep connection with nature and myself. The way the leaves moved on the trees spoke to me, I knew that no matter what happened I would never be alone. It is also my responsibility to understand myself, my existence, my mind and to make changes in my life. A spiritual lesson you hope to learn? Forgiveness. A place in the world where you feel spiritually "connected?" at home...my garden, getting my hands dirty in the soil and being with nature. Curling up on a rock and being near the ocean.